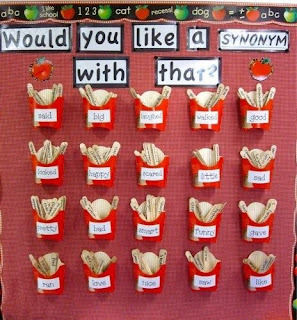 One thing that most of us will find ourselves doing, is constantly striving to improve the range of vocabulary that our students use. One way of doing this, is getting back to that print rich environment. 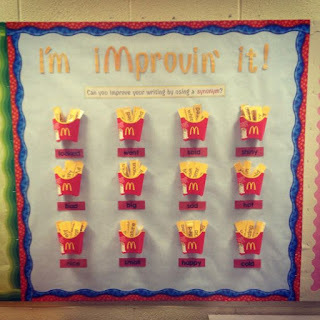 Have something the children can access with ease is always helpful. 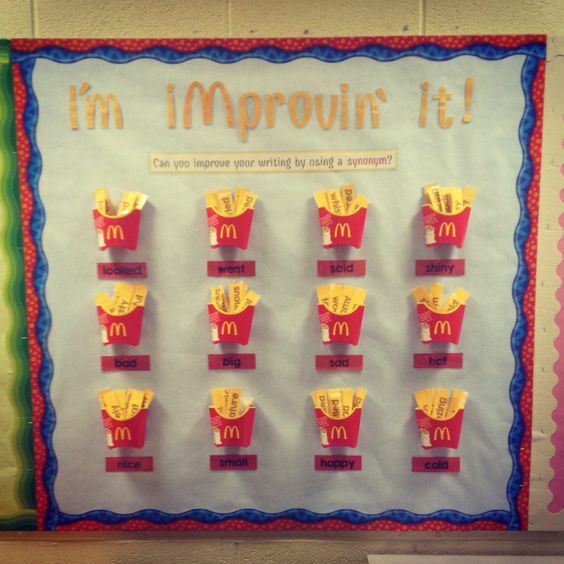 I loved this "Improving it" display I had with my last sixth class. It was far from glamorous but it was so well used by the children! Being a (frequent) visitor to Mc Donalds (don't judge!!) 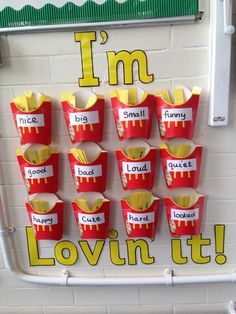 it wasn't too difficult to get my hands on some free chip boxes (clean of course) to hold all our synonyms. This was on a low noticeboard that the children could easily access and search for inspiration for vocabulary to improve their sentences, stories and report writing. Once again I wish I'd been more pro-active back then and taken more photos! Hindsight is a great thing! That would be another thing I'd tell my younger teacher self, TAKE MORE PHOTOS! This was a picture I took obviously before the display was complete. 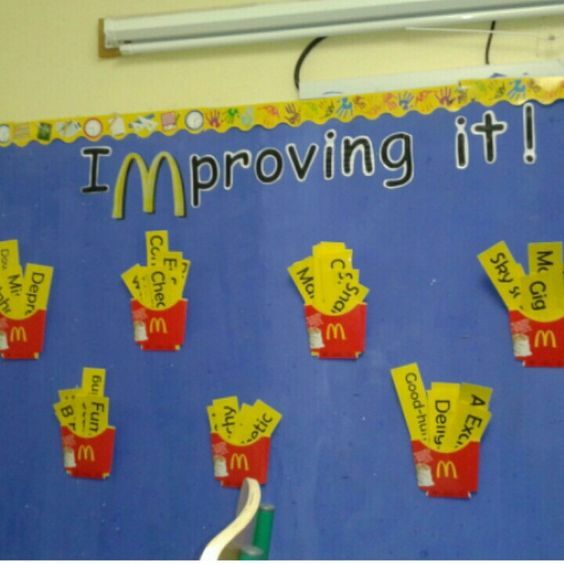 I labeled each box with the 'boring' or overused words and the children were free to come and go to it as needed. It was one of those displays that lasted months, I couldn't possibly have taken it down when the children were getting so much use out of it! Have you any fun ways of teaching synonyms? Be sure to share!